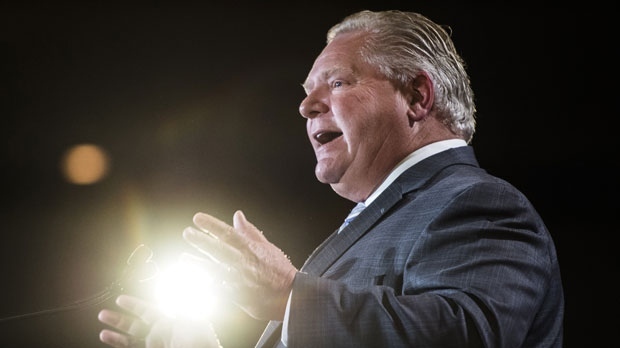 TORONTO -- Premier Doug Ford accused student unions of getting up to "crazy Marxist nonsense" as he appealed for donations to his Progressive Conservative party in a fundraising email sent Monday. The message sparked condemnation from students groups and opposition politicians who said the premier's language confirms what they've suspected -- that the fee changes announced last month are politically motivated. The fundraising email -- which bore the subject line "How broken was education?" -- also mentions the government's decision to scrap free tuition for low-income students and impose a 10 per cent across-the-board tuition fee cut.